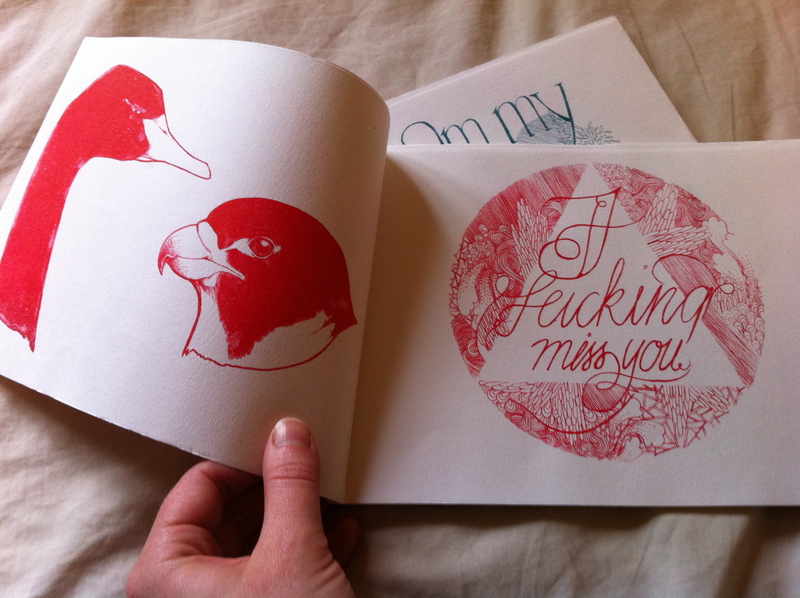 I’ve always loved words, and subsequently art with text. I’m pretty much mad for it. It makes sense then that I should be interested in zines, but the truth is I’m relatively new to the zine universe and am finding its breadth and scope a little overwhelming. But I’m chipping away at the iceberg, taking in what I can. 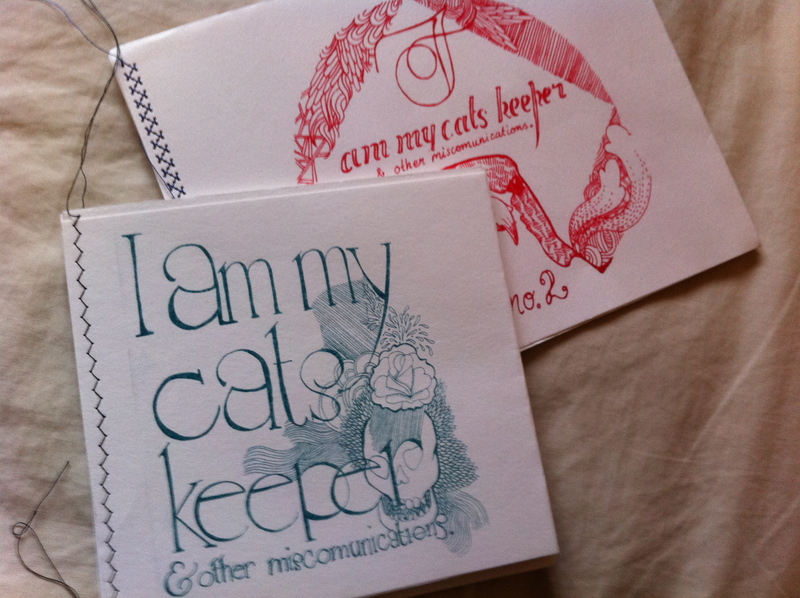 My current favourite is a local one: ‘I am my cat’s keeper’ by George.. 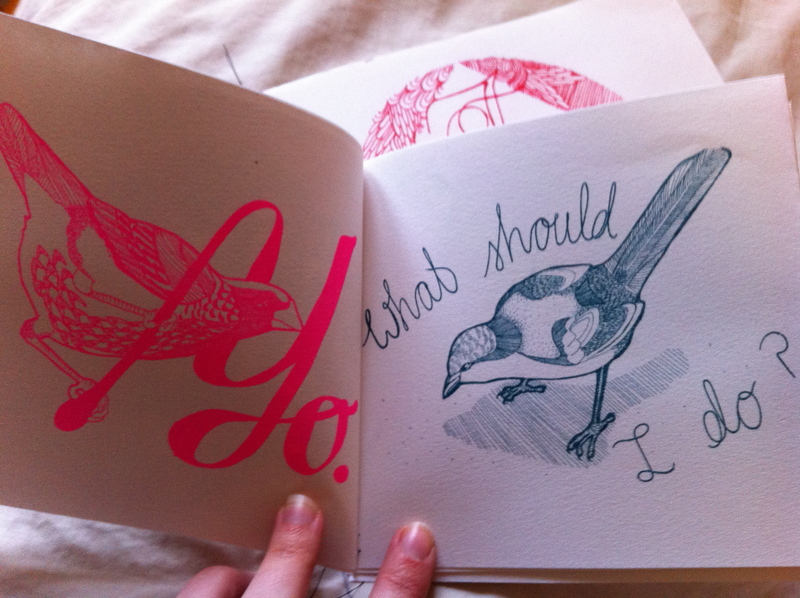 The perfect balance of beautiful drawings and words to set your mind sailing off on tangents. George seems to have a thing for birds, with sparrows, swans, hawks and more all gracing the heavy pages. Anyway I’m not going to try and explain it to you and I’ve probably already said too much – suffice it to say you should really just go pick up issue one and two from I Trip I Skip in Braddon (courtesy of Little Beats zine distro) or another reputable outlet.